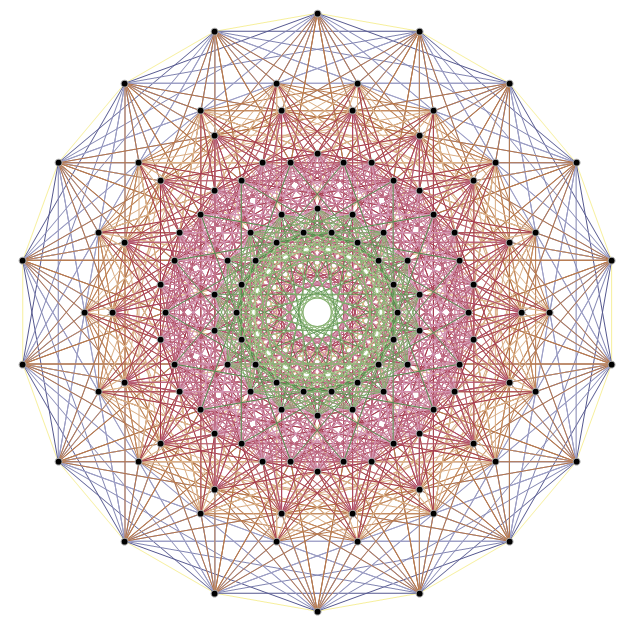 Chaos | Visualizing a Theory of Everything! 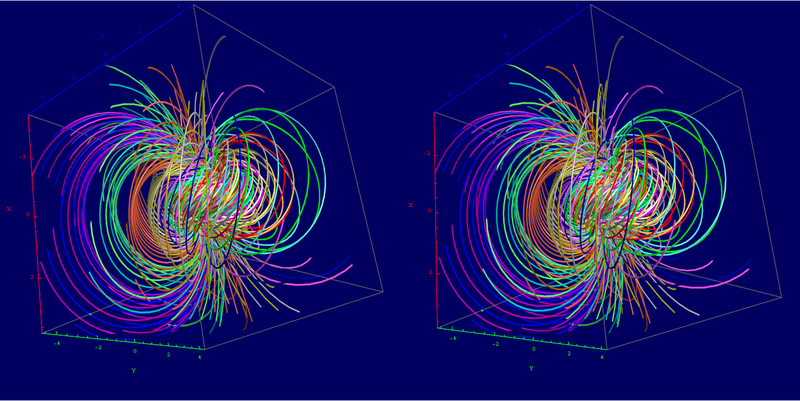 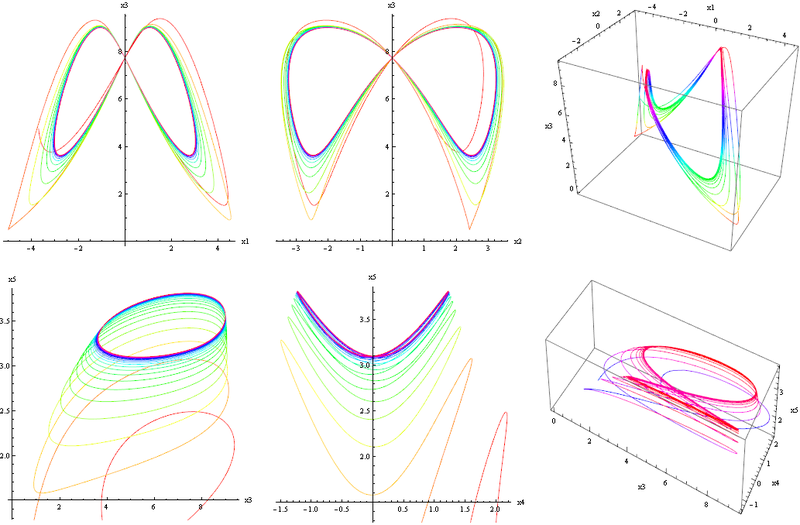 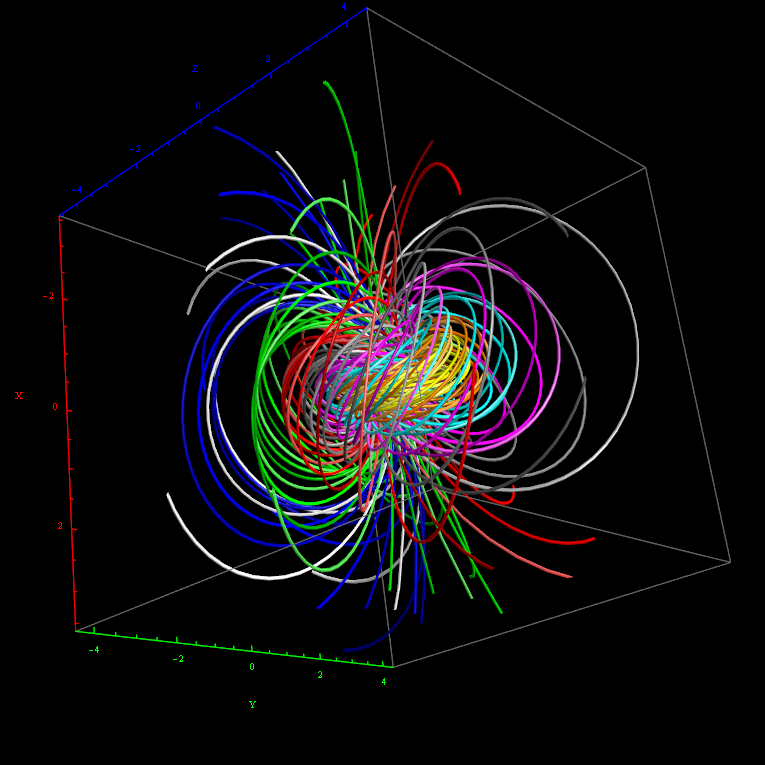 Hopf Fibration and Chaotic Attractors, etc. 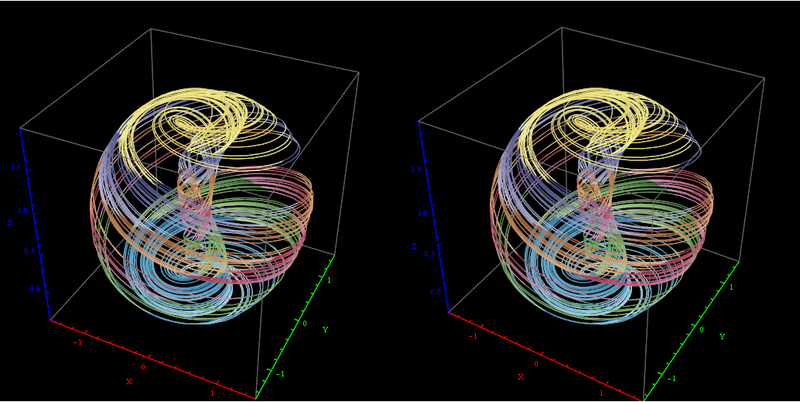 I’ve added some new features to my VisibLie_E8 ToE Demonstration. 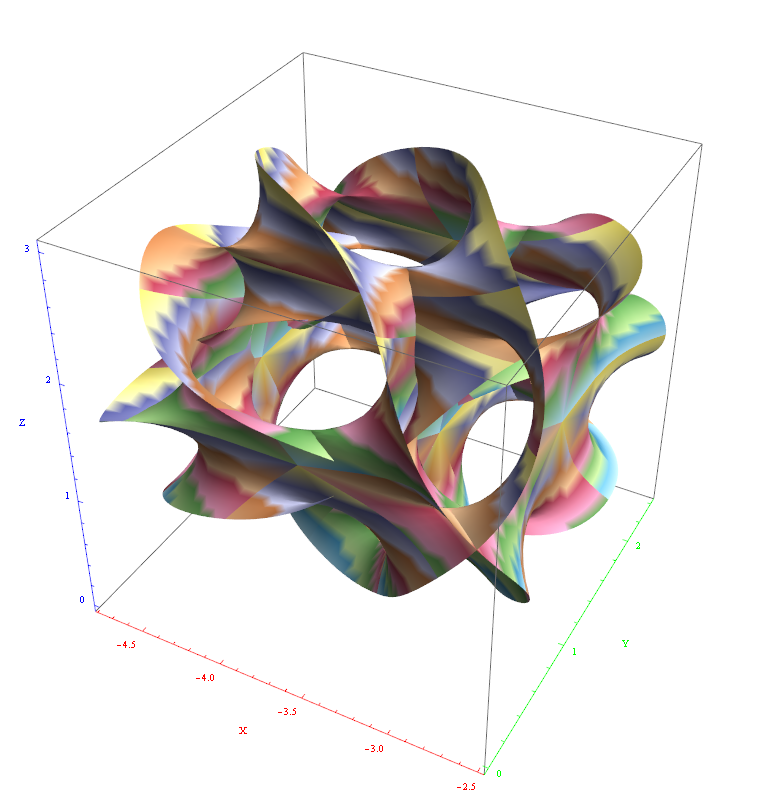 Some of it comes from Richard Hennigan’s Rotating The Hopf Fibration and Enrique Zeleny’s A Collection Of Chaotic Attractors . 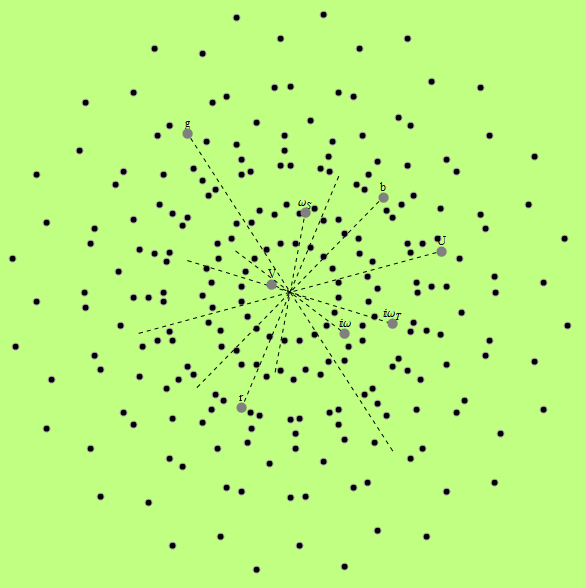 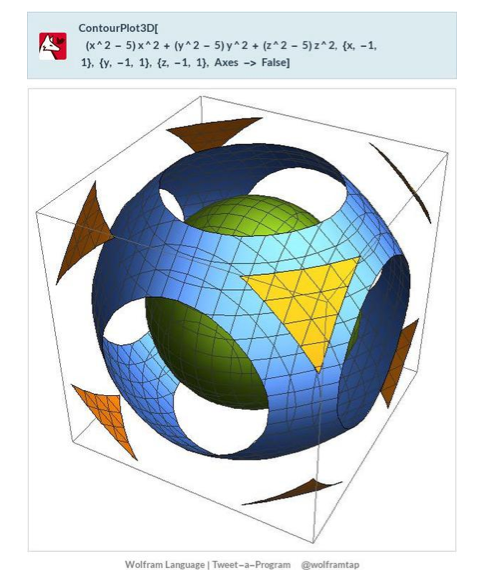 These are excellent demonstrations that I’ve now included with the features of my integrated ToE demonstration, since they are not only great visualizations, but relate to the high-dimensional physics of E8, octonions and their projections. 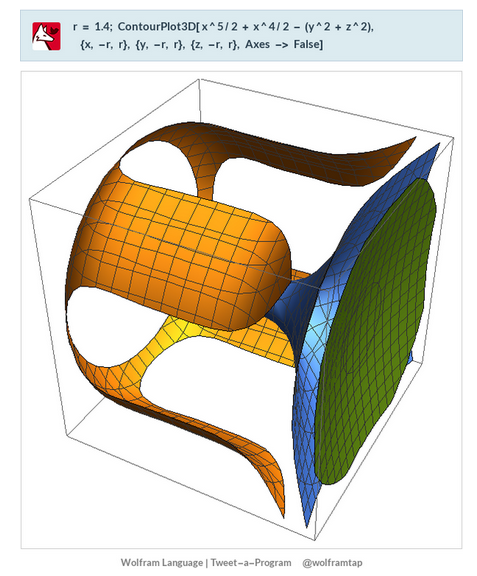 This gives the opportunity to change the background and color schemes, as well as output 3D models or stereoscopic L/R and red-cyan anaglyph images. 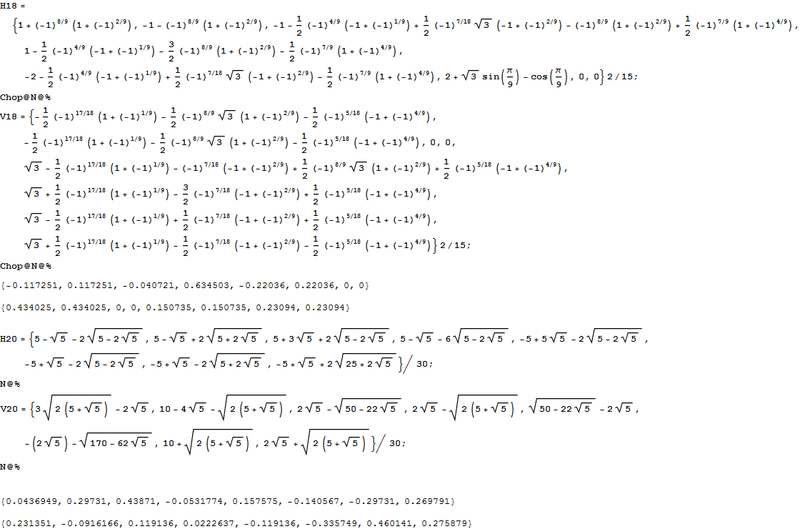 I am playing around with the Wolfram Tweet-a-Program, and the Wolfram Language (i.e. 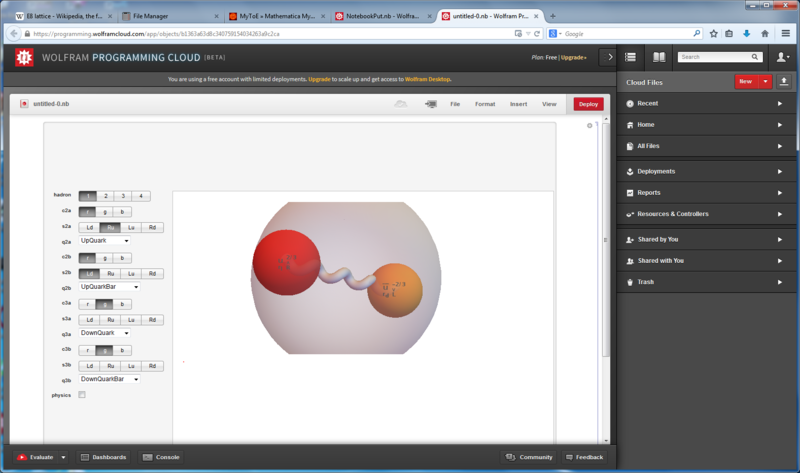 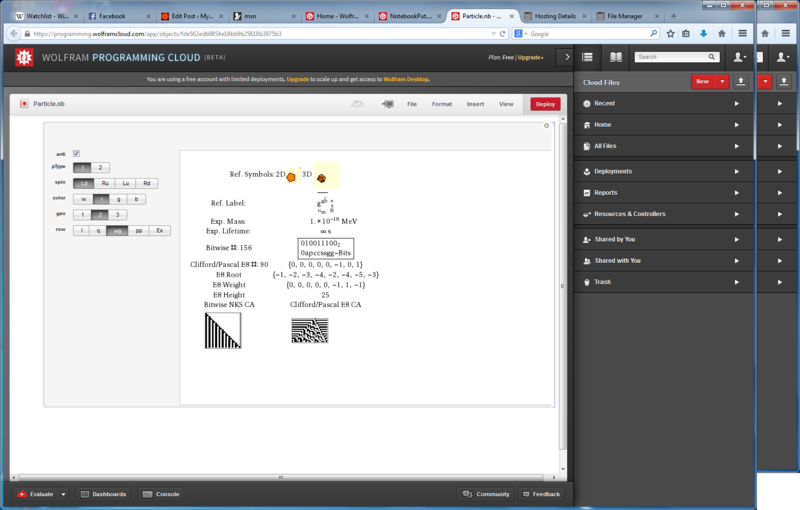 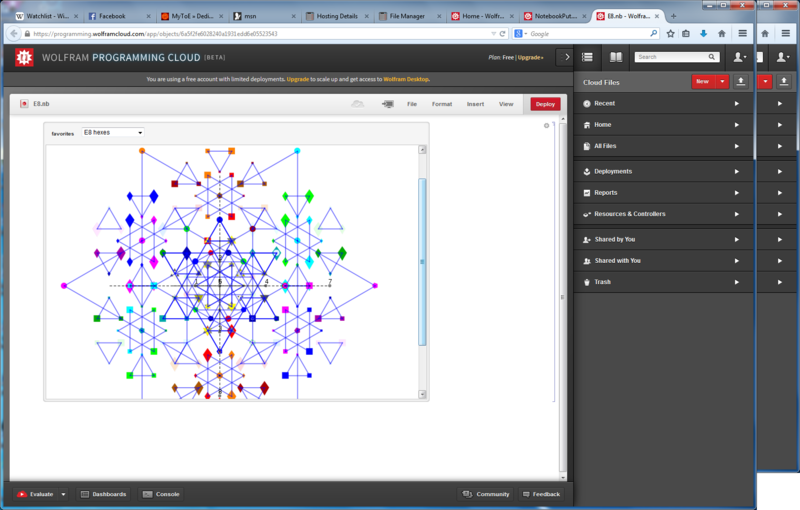 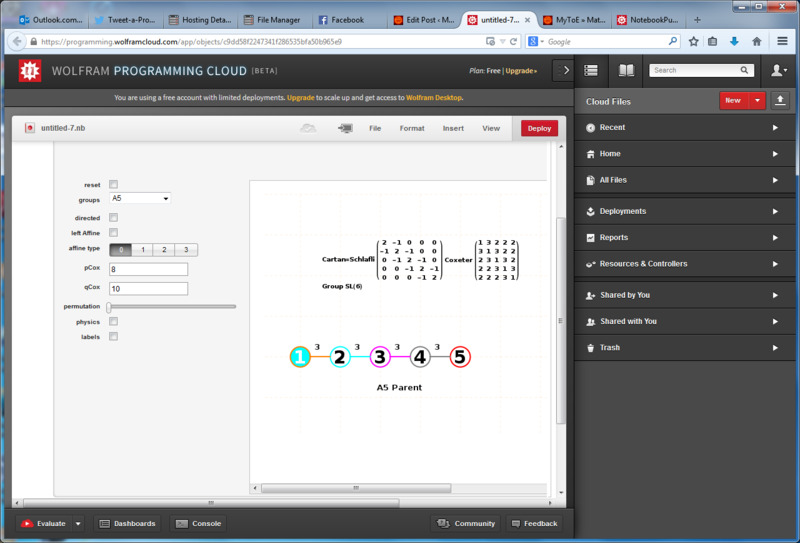 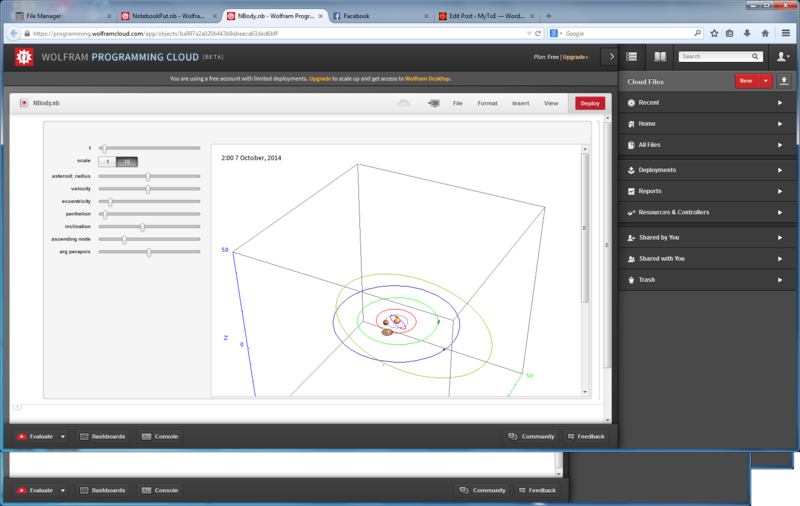 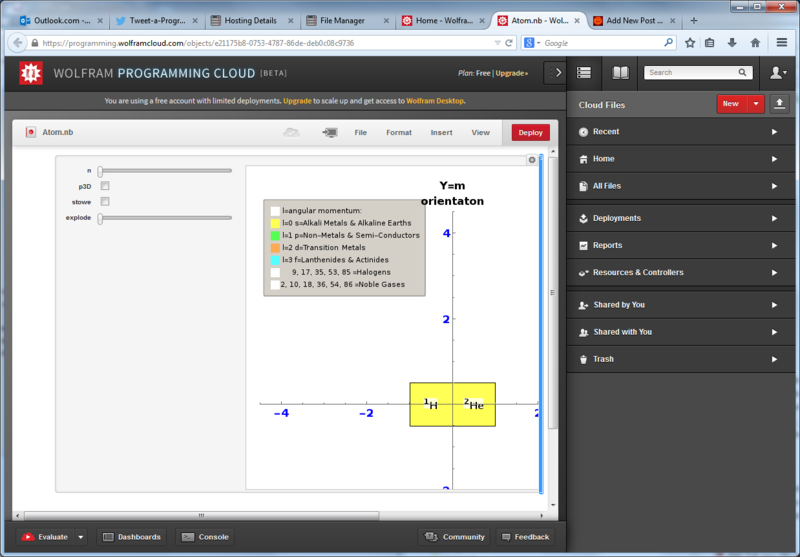 Mathematica) on the Wolfram Cloud. 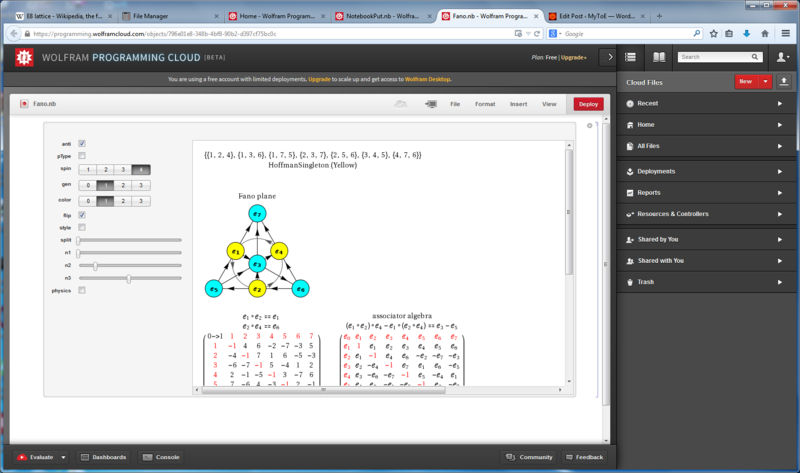 What’s really cool is that you can now interact with advanced math and HPC on your phone/tablet. 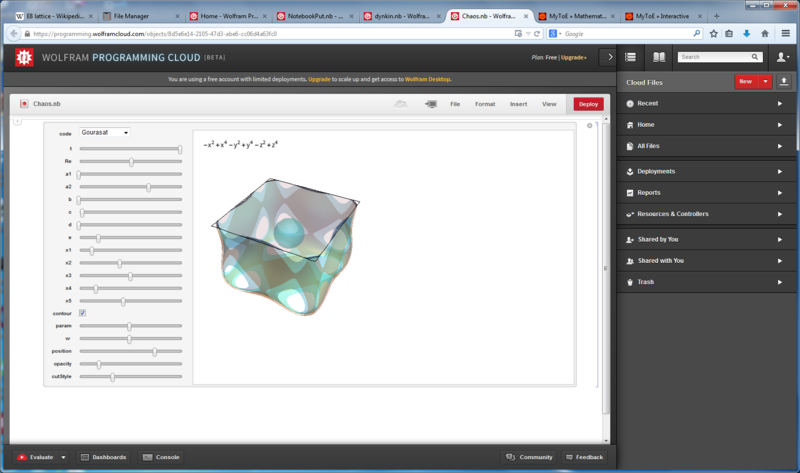 BTW – you will need a WolframID (and be logged into WolframCloud.com) to interact with these pages.